Finding a mold infestation in a Lawnside, NJ home or business can be stressful and unsettling for property owners. Severe mold development can have concerning health implications for those exposed, and it can severely compromise a building’s structural support system. If you are suspicious of a potential mold threat in your home or business, consider calling a reputable mold remediation company to complete a Lawnside, NJ mold inspection. 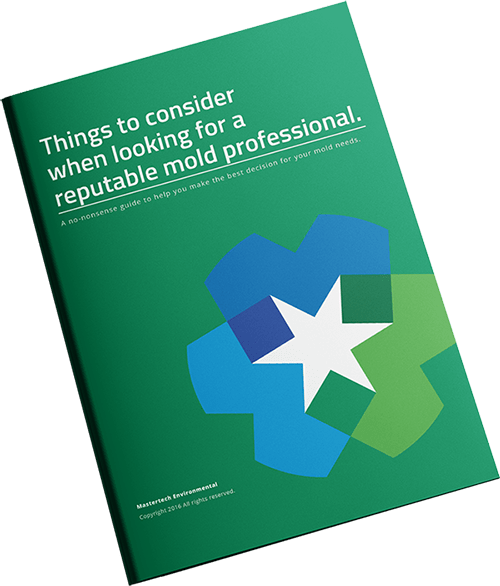 An experienced professional will be able to identify the full extent of your mold problems, determine what caused the mold in the first place, and prescribe a proper solution for removal and prevention. Mold is often a good indicator that you have a more serious underlying water problem that you may not even be aware of. That water source can and will lead to the deterioration of your residential or commercial building. Compromised building materials can collapse at any given time and put everyone in danger. In addition, mold can be toxic to those exposed, depending on the individual. Health implications can range from mild allergic reactions to severe respiratory issues. The team at MasterTech is committed to you and your family’s safety. Our carefully trained and certified technicians will promptly, safely, and effectively resolve all your mold problems. We understand your concerns when it comes to mold, and we promise to live up to – and exceed your expectations for mold removal Lawnside NJ. Treating a substance as toxic and invasive as mold requires special skills and technologies. Some home and business owners grow weary that removal will require chemically aggressive action. This is not the case at MasterTech Environmental. At MaserTech we always have you and your family’s best interest in mind. Safety will always be our first priority. Our team of industry experts have designed a step-by-step mold remediation process that integrates the safest and most up-to-date mold removal methods and technologies. We can confidently assure you and your family’s safety during AND after the mold removal process. Our mold removal method incorporates modern oxidative technology. Biological organisms require a unique decontamination protocol designed specifically to remove and prevent its growth. The use of oxidative technology for mold remediation has revolutionized the mold industry. Prior to the inception of this technology, industry professionals relied on hazardous abatement methods that were developed in the 1980s. MasterTech has made an effort to craft the safest, most effective, and most efficient mold removal process using the methods available, and we are constantly researching newly developed methods, to ensure that we provide the safest, most effective and most efficient mold removal in New Jersey. Causation: The key to each Lawnside, NJ mold remediation is diagnosing causation. For a successful mold remediation, it is important to identify and deal with the underlying water issues that is promoting fungal activity in your property. Prior to a remediation, your MasterTech inspector with complete a comprehensive assessment of affected areas and all surrounding areas. Using moisture meters and thermal imaging cameras, your inspector will be able to analyze the water problem in the most non-invasive way possible. In cases where the property has experienced significant water intrusion, MasterTech may need to complete a full Lawnside, NJ water damage restoration and structural drying before even considering the mold remediation. Containment: Once airborne and easily spread to unaffected areas. Mold spores, that are carried in the air, threaten you and your family by putting them at risk of respiratory allergies and distress. Mold spores in the air can land and root themselves in previously unaffected building materials causing cross-contamination. The MasterTech crew is trained to be properly place containment, as to not overlook any vulnerable spots for mold spores to potentially escape. Cleaning & Disposal: Mold can be safely removed from most surfaces of your Lawnside, NJ home without the use of toxic agents. In some, more aggressive, mold infestations, contaminated materials may be non-salvageable and will require safe removal and appropriate disposal. MasterTech technicians are trained in the most advanced techniques for the safest, most effective, and most efficient removal and disposal of moldy materials. Do you think you might have a mold problem in your NJ home or business? Call us today. For mold removal and mold inspection in Oaklyn, NJ or mold removal and mold inspection in Hi-Nella, NJ, call 609-948-8844 will all your questions and schedule and appointment.